When Training Leaves You Weak is all about a serious problem of the fitness industry. So many people pursue a lean muscular body - that they don't think about the damage they are causing on the inside to look good on outside. And this isn't just damage like sore muscles. I'm talking about ruptured disks, muscle tears, heart damage, nerve pain, chronic pain and death. Weight lifting leads to chronic damage to the joints and heart muscle, and creates bloated muscles that rip and tear easily leading to months off painful rehabilitation. Muscle strains and even bone fractures are common. So is the risk of death. Yale New Haven Hospital surgeon John Elefteriades and colleagues reported in the Journal of Cardiology that they've documented a link between heavy lifting and torn aortas - and in third of those cases, the young fit men lifting only half their body - died. There are literally THOUSANDS of reports on the damage caused by weight lifting - even when form and load aren't an issue (and very few - I'm looking at CrossFit and your local gym trainer) know how to do most weigh lifting exercises properly. I won't even touch the amount compression damage and joint shearing weight lifting causes that leads to chronic pain. And, perhaps most disappointingly of all - the muscles built from conventional weight training aren't very strong and in fact leave you weak and ripe for injury. Conventional Strength and Fitness promotes a methodology that leads to Injury and Weakness. They focus on developing bigger muscles while neglecting the connective tissues that keep you strong. Triple H, a HUGE monster of a man tore his quad right off his leg - WALKING - because the muscles, built through weight lifting were overdeveloped and he had not built the strength in his connective tissue to support that muscle. He tore it straight off the bone. But that's not an isolated incident. Guys like this, routinely tear muscles off their bones in simple movements. Sure, Triple H is huge - intimidating with his size, but walking tears his huge muscles from his weak connection to the bone and he's crippled. On the field of battle, in true life and death combat he'd be a liability. Worse he'd be dead. For all that muscle, it's only for show, not true functional strength. The training methods I use however, are developed from ancient martial arts practices; From warriors such as the Samurai who trained their muscles, tendons, ligaments, internal organs and minds to bear the rigours of life and death combat, of nearly 100 years constant brutal warfare. The methods of the winners have been passed down in the koryu - the old martial arts of feudal Japan of which I am a student and teacher. These methods develop real world strength - not just massive muscle but the strength of the structure, sinews, tendons and ligaments, making you injury resistant and with the ability to use your strength in any fashion and in any situation. Crossfit and other popular methods cause deeply serious injuries to the joints due to poor lifting and fundamentally dangerous philosophies that push people to serious medical issues such as rhabdomyolysis. This is a condition where through the extreme nature of the workouts and the culture that breeds a never stop attitude, your muscles cells explode. They die, leaching protein out into the blood stream, including one form called myoglobin. These should NEVER be in your blood, and your kidneys aren't designed to deal with them. This can produce a serious injury to the kidney, up to and including death to all or part of the kidney in a very short amount of time, and is, of course potentially lethal. The muscles themselves are left damaged and dying. They become inflamed, swelling to prevent you doing something so stupid again and causing even more damage. Unfortunately the mechanism necessary to clear this local muscle damage is now offline trying to help you not die. This is life threatening. Oh and one other thing - once those muscles are torn and the cells killed, they are permanently damages, filled with fatty scar tissue You'll never be strong, or firm again. Even the founder of CrossFit, Greg Glassman admitted, "It can kill you," he said. "I've always been completely honest about that." Even today the West has corrupted traditional training techniques - Crossfit gyms use sledgehammers and tyre's replicating a crucial part of Samurai Strength training (through they didn't use sledgehammer and tyres. Like many aspects of fitness and training Crossfit has taking something once useful for building strength and muscle, cultified it and left people broken, injured and dying because of a fundamentally flawed mentality. My third example of when training leaves you weak is an odd one, certainly one people don't associate with injury - YOGA. Yoga is an ancient and effective practice of nourishing the body, fundamentally tied to a spiritual set of beliefs. Those beliefs have been cast aside and the movements corrupted and westernised into a series of aggressive stretches that results in devastating injuries. It's funny, I deal with a lot of sports injuries in my medical practice, weight lifters who are headed for surgery with destroyed shoulders, Crossfiters with destroyed knee joints, ruptured Achilles tendons and chronic damage to their bodies. People expect that when I tell them. 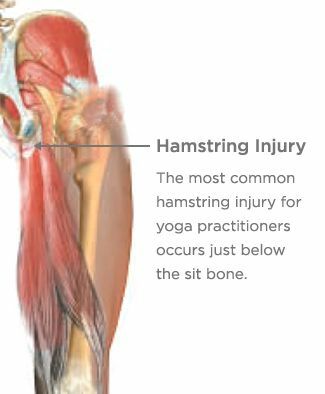 What surprises them is that about 50% of the injuries I see happen in Yoga studies. Due to a surge in popularity and a lack of connection to those who have spent years in the study of the discipline Yoga teachers have little knowledge of postural correction, organ and muscle imbalances (which they are meant to be experts in) and as such prescribe poses designed for a "workout" and "flexibility" in a class setting - this results in ruptured spinal disks, Achilles tendon ruptures, dislocated and broken ribs, blinding headaches, and even stroke, brain trauma and more - even in those fit and young. There is a better way to get in shape. One that is faster in routine and results. One that doesn't risk injury. One that promotes an increase in strength by 5-15% per session. One that trains the tendons and ligaments as well as the muscles for real world total strength. True Strength. That method is Isometrics. And that's what this site is dedicated to teaching. Safe, effective training that produces repeatable results and will keep you active and injury free to life. If you're new to Isometrics, which is the best from of training for strengthening the body. The easiest way to start is with a simple routine made up of 3-5 exercises from the bodyweight section (http://www.isometric-training.com/free-exercise-programs.html) and the isometric section (http://www.isometric-training.com/Isometrics.html) on my site. You've been reading about the happens When Training Leaves You Weak. Check out this great article on Isometrics for Strengthening Tendons and Ligaments.